The Kindle Fire is a popular 7 inch table with kids due to its inexpensive price tag when compared to others, and it still offers a lot of the same apps. It also comes with the largest book collection. Below is a step by step guide with pictures on how to lock your Fire Down! 3. 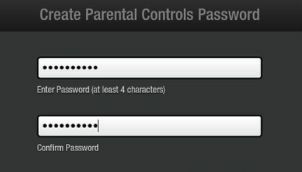 After you select Parental Controls, it will prompt you with window to make password. Remember your kids are smart, think of something unique! 4. After you make your password selection, you will then be brought to a menu where you can turn various features on and off. 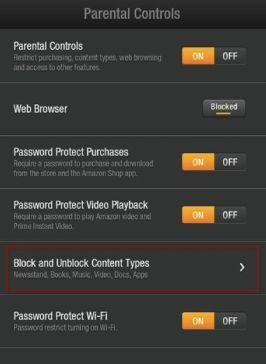 Here you can restrict the Wifi settings, purchases, App Downloads, GPS location settings and other various restrictions that you can slide on. You can also remove links from favorites such as Facebook. 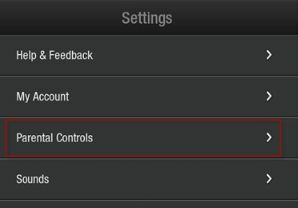 They make this customization in parental controls simple to use and easy to understand. 5. 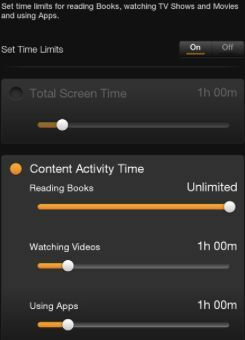 You can also switch over to the Kindle Free Time App, where you can restrict how long they use the kindle. If there are any of the specific features that you don’t understand about locking down. Please don’t hesitate to email me. Just click on the Contact Aaron tab at top of home page.